I realized last week that I'd never explained verifiable credential exchange as a stand-alone topic—it was always buried in something else. Multi-source identity (MSI) depends on issuing, exchanging, and verifying digital credentials. The specification for verifiable credentials is being formulated by the World Wide Web Consortium’s Verifiable Credentials Working Group. Verifiable credentials provide a standard way to express credentials in a way that is cryptographically secure, privacy respecting, and automatically verifiable. Credential exchange is the process by which credentials are issued, held, presented, and verified. Credentials are exchanged peer-to-peer by software called "agents." The specific details of how this works technically is defined in Indy agent protocol. Agents create relationships in this peer-to-peer network by exchanging DIDs and their associated public keys. Here's an example of how credential exchange works. Suppose Alice is applying for a loan at her local bank. The bank requires proof that Alice is employed and makes at least $70,000 per year. Alice has pre-existing relationships with her employer and her bank, meaning her agent is connected to their agents via an exchange of DIDs. Alice’s employer has issued an employment credential that includes her employment status and her current salary. It might also include many other attributes related to Alice’s job. As shown below, Alice holds this credential in her agent. She can present the credential to prove to the bank that she is employed and makes more than $70,000. When Alice proves her employment status to the bank, she doesn’t present the entire credential since doing so would reveal more information than is necessary. Instead, Alice presents a zero-knowledge proof of just the information the bank needs. The ability to limit the information presented from a credential is important to maintain privacy through the principle of minimal disclosure. Alice’s bank can verify the credential proof by looking at the credential definition on the ledger, retrieving the public DID and associated DID Document of the issuer, and using the public key in the DID Document to check the signature of the credential to ensure it hasn’t been tampered with. The bank can also cryptographically verify that it was issued to Alice. As part of making her proof from the credential, Alice also proves that it has not been revoked by referencing the revocation registry, which is also available on the ledger. In multi-source identity, a particular credential is not intrinsically true. Rather each verifier determines who and what they will trust by relying on the attestations of other parties. Thus, truth is established through a preponderance of evidence. How much evidence is needed for a situation depends on the risk, something the verifier determines independently. For example, in the previous scenario, if the bank does not already know the public DID of the employer, they could validate it in several ways. The most obvious is to interrogate the endpoint in the employers DID Document and ask for proof that they are a legal business and any other information they need to trust the employer. The employer could use credentials they have to prove this to the bank, or they could do it out of band. Once the bank knows to trust the public DID of the employer, this information could be cached according to the policies of the bank. Credentials are decentralized and contextual. There is no central authority for all credentials. Every party can be an issuer, a holder (identity owner), or a verifier. Verifiable credentials can be adapted to any country, any industry, any community, or any set of trust relationships. Credential issuers decide on what data is contained in their credentials. 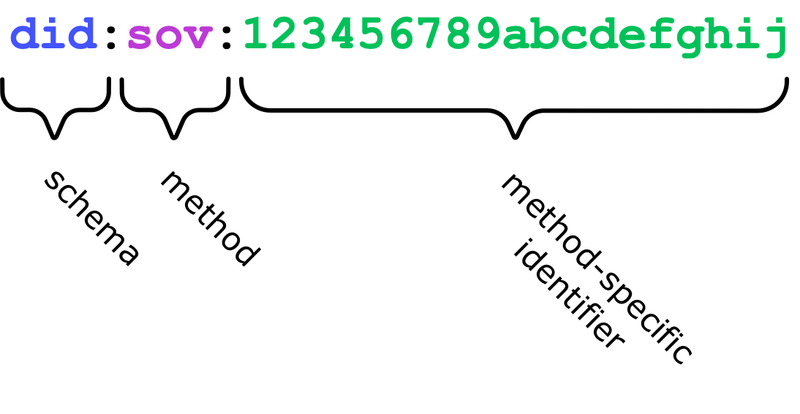 Anyone can write credential schemas to the ledger. Anyone can create a credential definition based on any of these schemas. 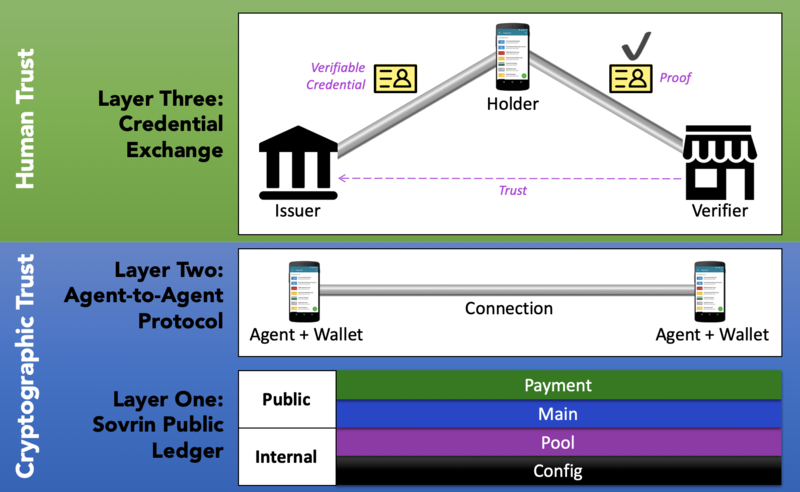 Verifiers do not need to contact issuers to perform verification—that's what the ledger is for. Credential verifiers don't need to have any specific technical, contractual, or commercial relationship with credential issuers. Credential holders are free to choose which credentials to carry and what information to disclose. People and organizations are in control of the credentials they hold (just as they are with physical credentials) and determine what to share with whom. This is sometimes referred to as self-sovereign identity (SSI). Multi-source identity is composed of credentials from multiple sources. In addition to her relationship with her employer and bank, Alice likely has a relationship with the state, and holds credentials they issue representing her birth certificate and driver’s license. She might hold credentials from her university representing her transcript. The list of potential credentials that Alice holds is long and depends on her relationships online and offline. She could have hundreds of relationships and associated credentials in her wallet. She can use any of these, in any combination, to prove things about herself (with minimal disclosure) to any other party who accepts them. Decentralized credential exchange is not new—we've been doing it in the physical world for centuries. But doing it online is novel. Decentralized digital credential exchange gives people and organizations the freedom and autonomy to create authorization regimes that meet their particular needs. Furthermore, credential holders have autonomy and choice in whether to participate. The result is a flexible identity architecture that covers thousands of use cases, even ad hoc use cases, while supporting choice and privacy for identity owners. Verifiable credential exchange enables online identity transactions that are nearly impossible to imagine using the single-purpose, IdP-based identity systems of the past. 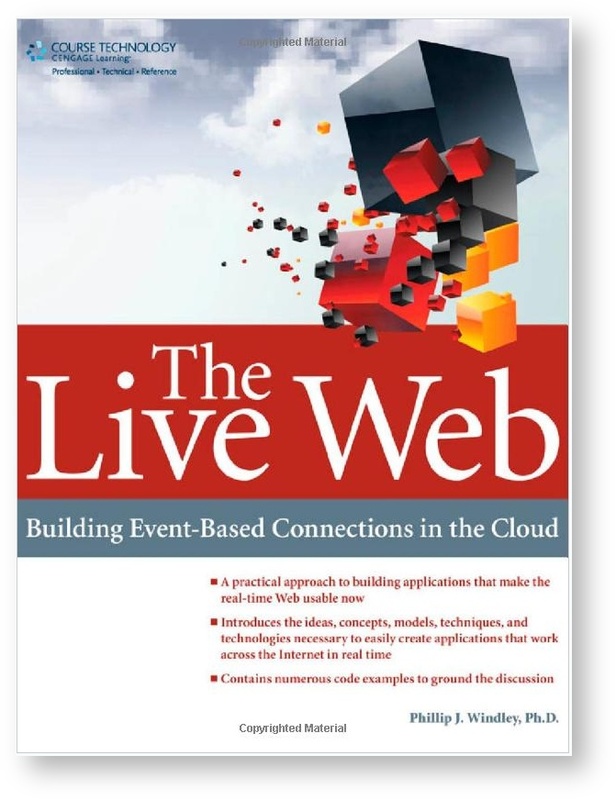 The Internet enabled a rich, decentralized ecosystem of message exchange that could never have been supported by the walled gardens of Compuserve and AOL. Similarly, self-sovereign, multi-source identity enables a richer, decentralized ecosystem of identity transactions than can ever be realized with the single-source identity systems we've used to date. Self-sovereign, multi-source identity enables an Internet for Identity. Earlier I wrote about the idea of multi-source identity that allows multiple authorities to make assertions about people, organizations, and things that can be verified. 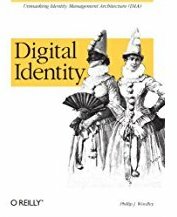 Multi-source identity becomes self-sovereign identity when the individual is able to control those assertions and use them in a privacy-preserving manner whenever and where ever they want. Recently Joe Andrieu gave a presentation about the role of multiple assertions in a real-life situation—an automobile accident. 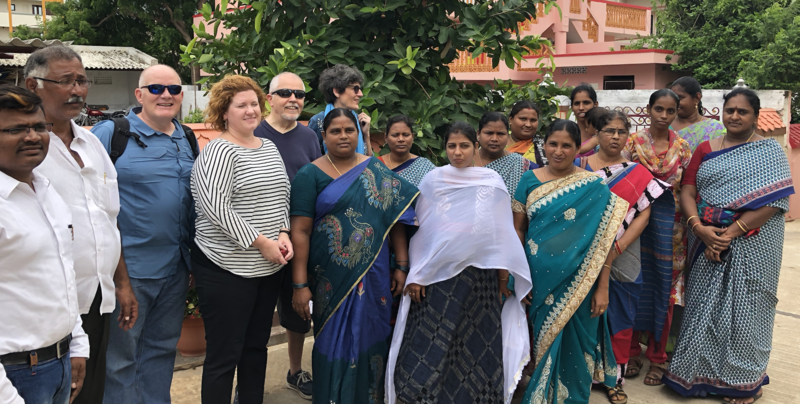 As I listened, I thought it was an excellent example because it showed clearly the power of being able to bring multiple, independent credentials to bear in a situation that is complex and involves a number of parties. Hopefully, you've never been in an automobile accident, but if you have you recognize that there are a number of credentials that play a role in a scenario that plays out over days or even weeks. The following diagram shows some of the credentials that would be used in the initial investigation following the accident. In addition, the police officer has a badge from the Highway Patrol. Alice and Bob would make and sign statements. The police officer would create an accident report. Typically each of these documents are paper, or at best PDFs, and they are exchanged, copied, and filed away. The thought of doing it all digitally conjures visions of complex, special-purpose software systems with uneven acceptance by the various players and jurisdictions. 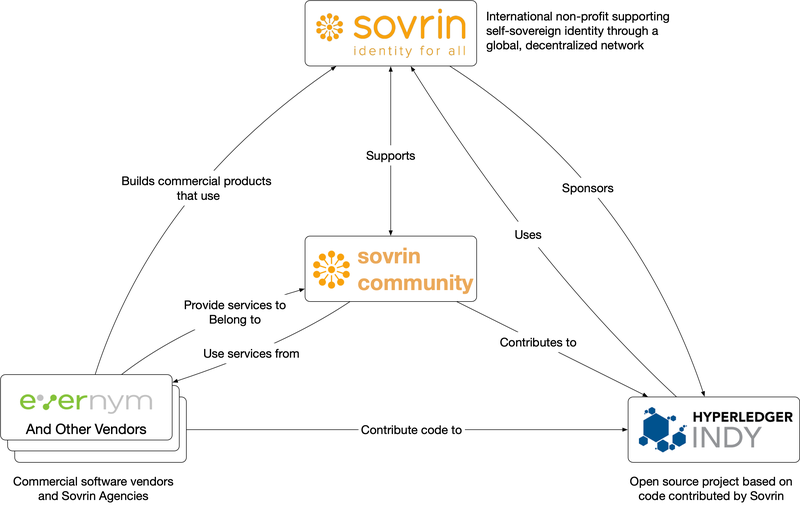 Sovrin changes that by providing an open, decentralized system that supports the flexible exchange of standards-based verifiable credentials. Each of the credentials mentioned previously can be independently created by the appropriate issuer, held by Alice, Bob, and the Police Officer, and presented to any party who the holder desires. Alice would control her credentials and Bob his. After the accident, Alice and Bob would use the Sovrin wallets on their phones to create a relationship. When the officer arrives on the scene, they will both also create a relationship with him. They can use these relationships to exchange information based on the credentials they each hold. Alice and Bob create statements about what happened. The Police Officer creates an accident report. These are also credentials that can be shared between the parties. Later, Alice and Bob will share the accident report and information about the other driver with their respective inurance comopanies. The may enlist the services of mechanics and auto-body shops who will need to get information from the accident report and provide attestable statements about repair quotes and completion of repairs to the insurance companies. The decentralized nature of the Sovrin Network allows all this information to be exchanged regardless of the fact that Alice and Bob are from different states that have different government organizations and structure. The exchange works regardless of the fact that Alice and Bob use different insurance companies. The exchange works regardless of whether they're in or out of their own state. Because of the structure of Sovrin, the receiver of each credential can verify it hasn't been altered, that it is about the party who presented it, and was issued by a particular party. Standards ensure that each party can can issue their own credential and that others can understand it. Standards allow the exchange to happen without appeal to special-purpose software systems. 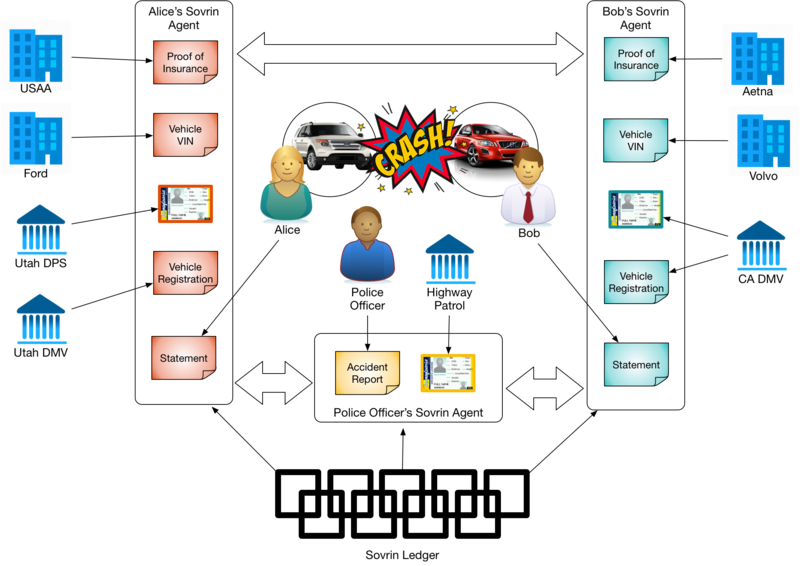 Rather than building a special purpose "vehicle accident reporting system" and convincing all the players to participate in a closed ecosystem, the standards that enable self-sovereign identity allow each participant to work through an ad hoc scenario with finesse and sophistication. This scenario gets even more interesting if the cars are connected and have an identity of their own. There may be data from the connected car that is relevant to the accident. For example, an accelerometer could have measured be data points before and during the accident that might be included in either Alice or Bob's statements or the Police Officer's accident report. In a Sovrin world, the vehicles can have agents and consume, hold, or generate verifiable credentials. But the vehicles' identity is owned and controlled by their owner (who might not be the driver involved in the accident). This adds a new dimension to the data that would be shared, but Sovrin's flexible structure makes it easy to include these new players in the scenario. Real life is complicated and messy. The only hope we have of enabling digital interactions that mirrors activities in the physical world is with decentralized systems that allow each person, organization, or thing to act independently and autonomously. While multi-source identity can't repair you car for you, an open system that supports it like Sovrin can significantly reduce the friction in handling the many credential and data exchanges that follow any accident.